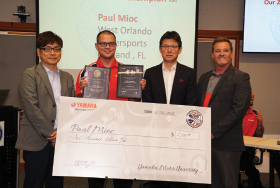 Yamaha Motor Corporation, U.S.A. recently invited the top six Motorsports technicians, based on Yamaha Technical Training Gold certification scores, to Kennesaw, Georgia to compete in the 2018 United States Technician Grand Prix. After two grueling days of competition, the Yamaha Motorsports Group is pleased to announce Jeremy Talley of I-90 Motorsports, located in Issaquah, Washington finished on top and is the winner of the 2018 United States Technician Grand Prix. Jeremy will now be invited to attend the World Technician Grand Prix to be held at our factory in Japan this October! “The 2018 United States Technician GP was a challenging event that required these top tier technicians to troubleshoot and repair Yamaha motorcycle, ATV and side-by-side machines. 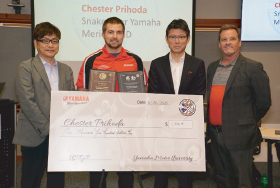 Utilizing skills developed through their Yamaha Technical Academy YTA training, all of the contestants performed admirably. The contest required clear thinking, nerves of steel and outstanding technical skills to meet the challenge. 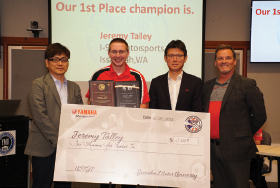 We’re proud of all of our contestants and we’re excited to have Jeremy represent the United States at the World Tech GP” said Joe Dagley of Yamaha Motor Corporation U.S.A.’s Motorsports Group.